Interviews with amazing people by award-winning British journalist Dan Wooding. We open a window on the world to learn about what God is doing today. 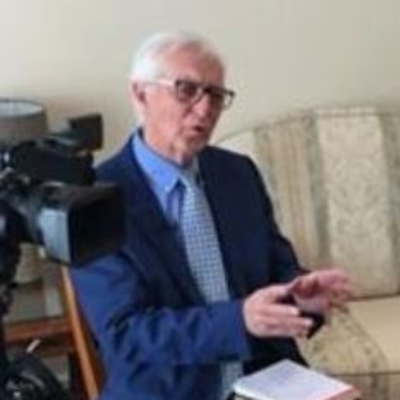 Here is a fascinating interview with American-born George Verwer, Founder of Operation Mobilization (OM), who now lives in London, England. 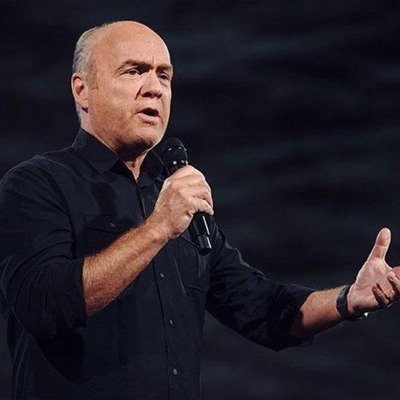 In this conversation, he shares his amazing story of how God used him to birth one of the world's largest mission groups after attending a meeting at Madison Square Garden in New York, and has seen tens of thousands of people give their lives to Christ. He also talks about OM Ships, which is celebrating its 50th anniversary this year and will be visiting six ports in the UK. He also talks about the movie on is life called George For Real. 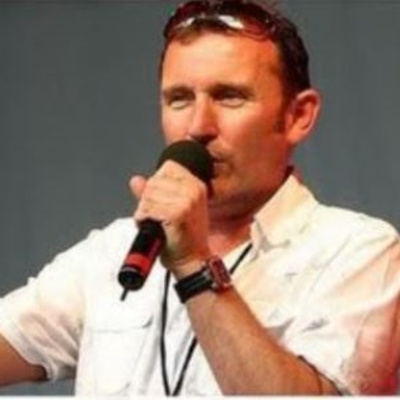 International journalist Dan Wooding interviews Andy Hawthorne, a British Christian rock singer, musician, poet, radio and TV host, teacher, writer and pastor, who is founder of The Message, a trust, based in Manchester, UK, and has been honored for his work among young people by Queen Elizabeth. 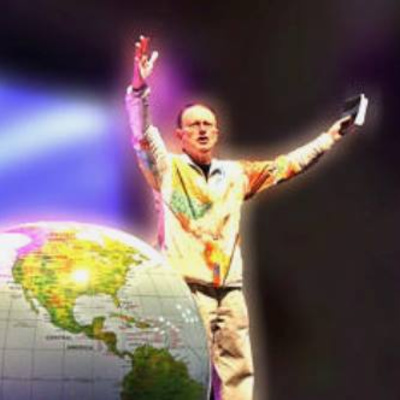 In the early days of The Message, Andy was a member of the Christian band World Wide Message Tribe who had success in the UK and American pop charts. 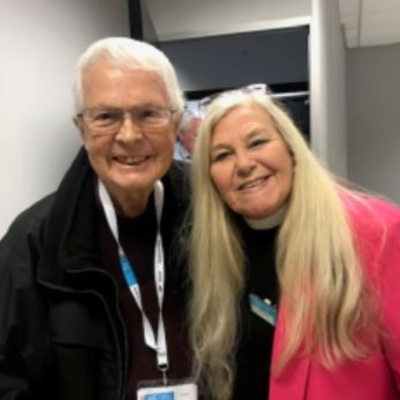 Dan Wooding interviews the multi-talented Cindy Kent, who's been a well-known folk singer with The Settlers, then a pioneer UK Christian broadcaster honored by the Queen, and later, a clergywoman. 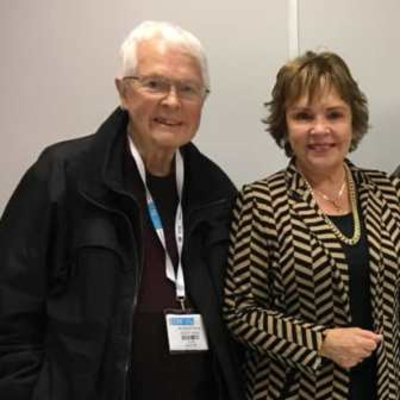 In semi retirement, Cindy is still hard at work as Dan discovered when he met up with her recently at the Christian Resources Exhibition in Manchester, England. Dan Wooding talks with this Northern Ireland born Christians who is seeking to bring reconciliation in British politics and to share Christ in the British Houses of Parliament. 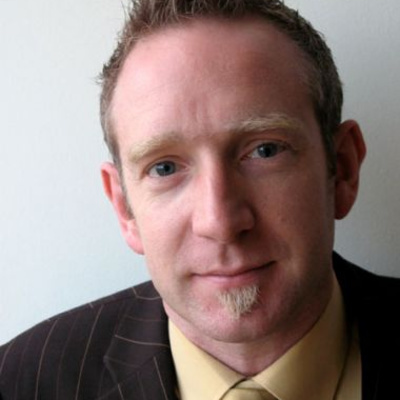 In this latest interview, Dan Wooding talks with Steve Goddard, head of the Christian Resources Exhibition, about the state of the Church in the UK. Dan also learns about Steve’s latest novel called “Whatever Happened to Billy Shears?” In this fascinating book, Steve explains how he has taken a character called Billy Shears from the hit “Sgt. Pepper's Lonely Hearts Club Band” album, and told his story and his love affair with Lucy in the Sky with Diamonds. Dan Wooding interviews Irish Singer, Dana, who won the Eurovision Song Contest in 1970, and later ran for President of Ireland, came third, but then was elected for a five year term in The European Parliament. A committed Christian, she is now back in the studio making a new album. Dan Wooding's extraordinary interview with London-born Jozy Pollock, who talks about how she escaped from being killed at Sharon Tate’s home by the Manson gang. 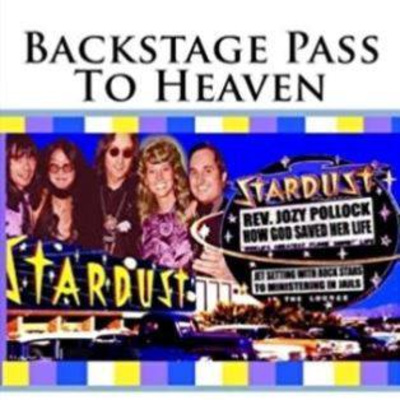 This just one of the many incredible stories contained in her new book called “Backstage Pass to Heaven,” in which she talks about her friendship with people like John Lennon and Elton John, her conversion to Christ, and her time as a LA prison chaplain. 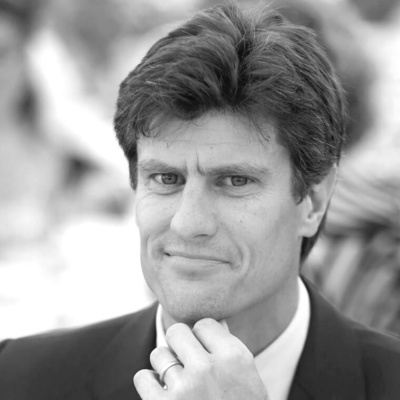 Gordon Pettie is the CEO of Revelation TV based in Spain, though he is originally from Liverpool, home of the Fab Four. 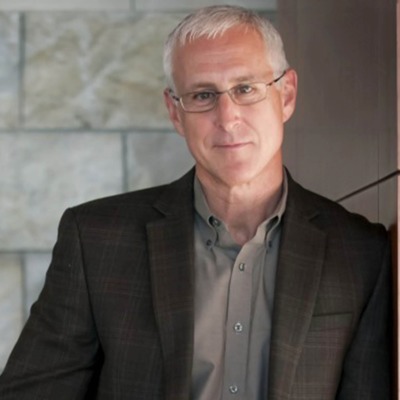 He never dreamed that one day he would be involved in broadcasting the Gospel to the world with his wife, Lorna, and in a fascinating interview with Dan Wooding, he shares how it all came about. Jody Wainwright is a director of Boodles, one of the UK's most prestigious jewelers. However, he left the business for a time to join Youth With A Mission in Kona, Hawaii, to get get his life and marriage sorted out. Now he is back being a Jewel in God's Crown. Ruth Ross – Dan Wooding’s sister – talks with Dan about their missionary parents, Alfred and Anne Wooding, who met and married in Nigeria. 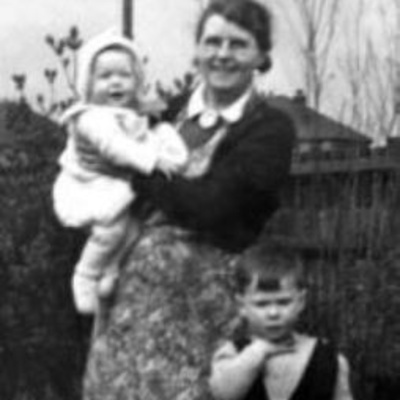 In this picture, Dan and Ruth are in the back yard of their Liverpool home. Please stay tuned for Dan Wooding's podcast when he interviews his son Peter about his most recent Mercy Projects trip to Ukraine, where he joined 65 Ukrainian teenagers at a winter camp, he reported from Kiev on the Orthodox Christmas Day as the country celebrated independence from the Russian Orthodox Church and also preached in a number of prisons in Eastern Ukraine close to the war zone. The photo is of Peter at the first prison he visited after he had just given one of the men a red and white Liverpool soccer woolen hat. 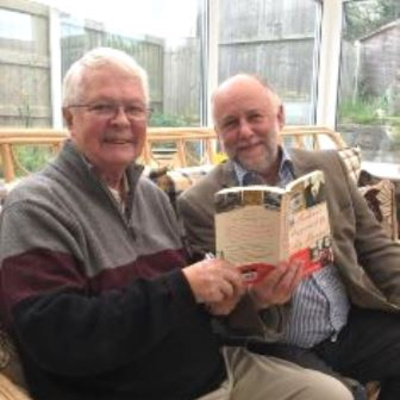 Dan Wooding interviews his son Andrew in North Wales about his book, "I Wonder If Chocolate Kills Brain Cells"
Larnelle Harris - "Shaped Notes"
How Ordinary People with Extraordinary Gifts Influenced my Life and Career. Latest episode of Assist News Service Podcast: Dan interviews Christopher Lee - Power. "A Miracle Turn Around from the Mean Streets to the Stage and Screen". Dan interviews Georg Verwer, now a global spokesman advocating world missions and living for Christ. Dan interviews Debbie and her father Pat and others as they share stories of Elvis Presley, and great success in the music business. 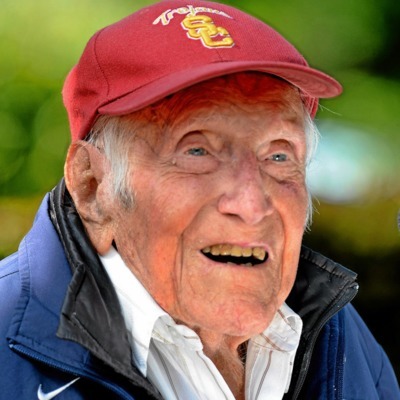 Louis Zamperini Tells His Story "Unbroken"
Dan Wooding interviews the amazing Louis Zamperini. 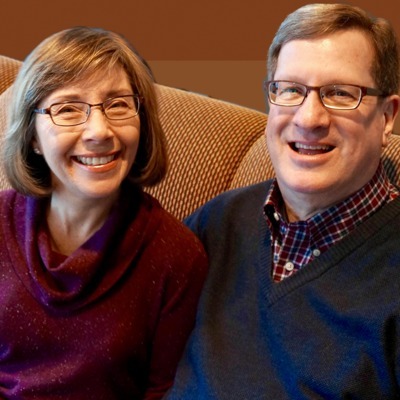 Dan Wooding interviews LeeStrobel and his wife. 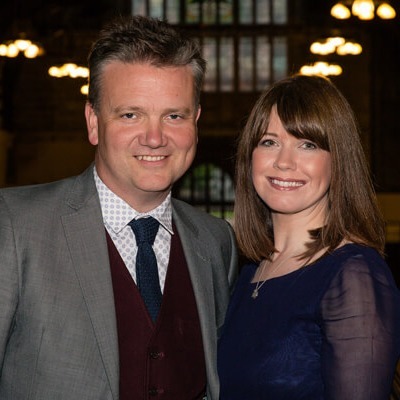 Dan Wooding interviews hymn writer and co-author of In Christ Alone, Keith Getty and wife Kristyn. Holland Davis, Calvary Chapel pastor and worship leader shares his story together with his wife Roxie. 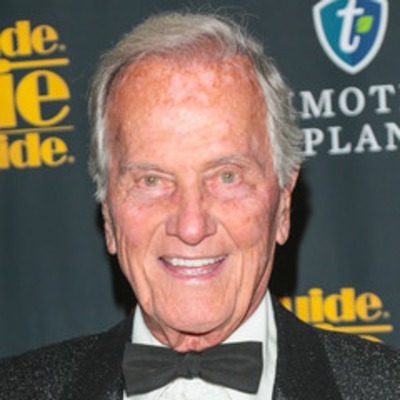 Rock Hudson, other stars, Benjamin Netanyahu, ... Dan Wooding and Pat Boone cover lots of ground in this interview. Dan Wooding talks Roma Downey and how her faith influences her life and work.